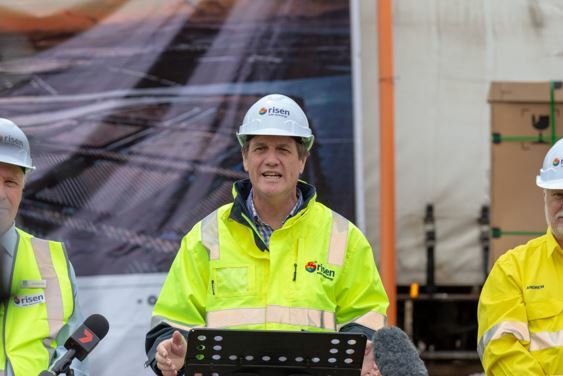 Dr Anthony Lynham, Queensland Minister for National Resources, Mines and Energy released the Queensland Solar Farm Guidelines at Risen Energy’s Yarranlea Solar Farm. “These guidelines are a clear checklist for local governments about what’s needed for sustainable, community and industry led large-scale solar development.” said Dr Lynham. 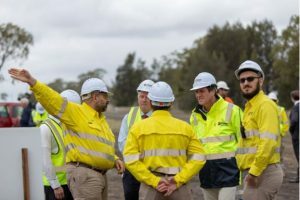 The Yarranlea Solar Farm is utilising local resources where ever possible and are working with the local community to deliver the project with a minimum of disruption. 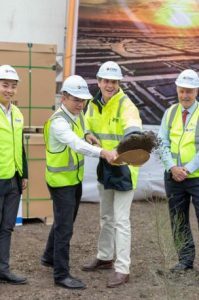 To commemorate this site visit a ceremonial tree was planted as part of the 7,500 trees for the screening vegetation supplied by McKinlay Nursery in Pittsworth. Purchasing these through a the McKinlay Nursery aligns with Risen Energy’s focus on using local resources where possible.